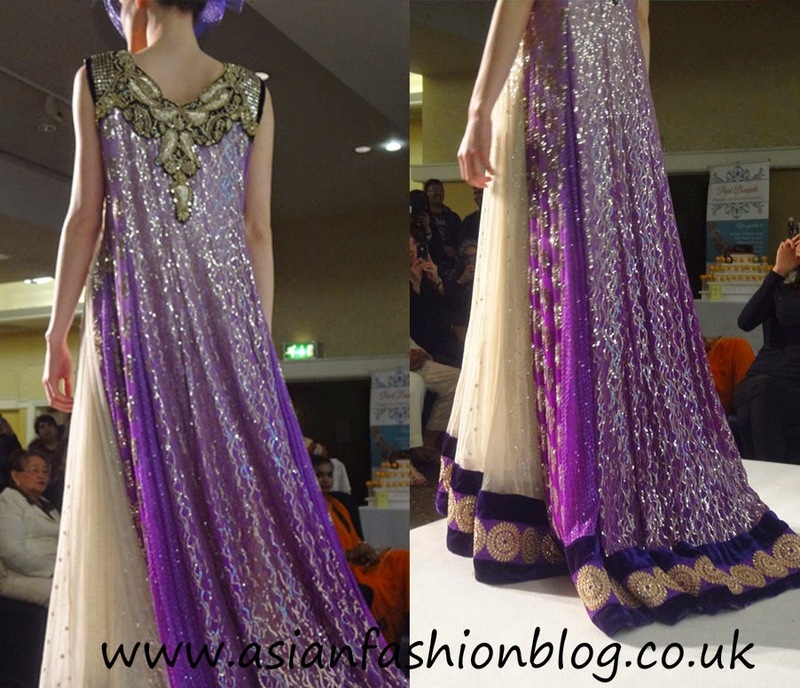 Last weekend, the Midland Hotel in Manchester held host to the 2014 Premier Asian Wedding Show. 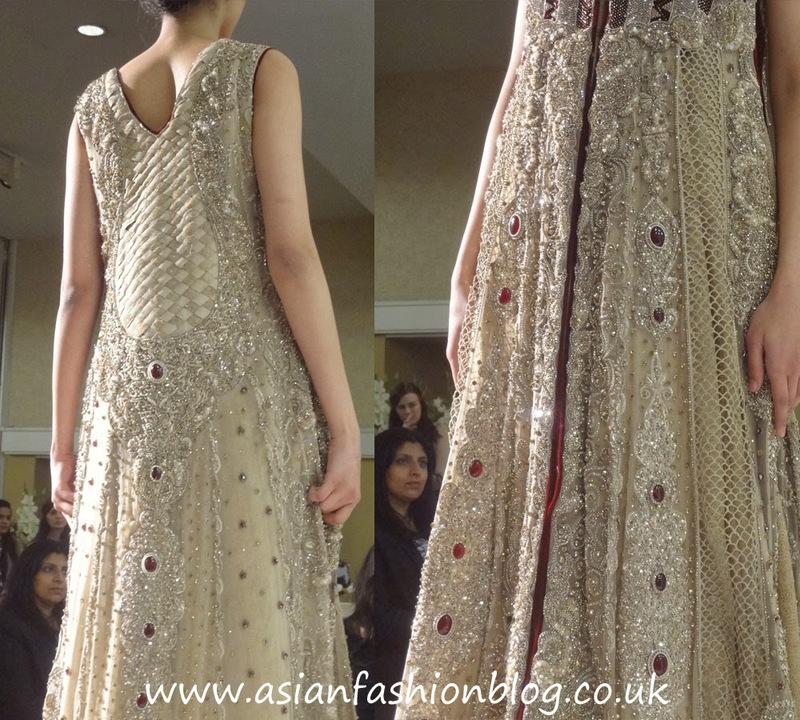 Now I'm trying to cut down on the number of wedding exhibitions I attend, but seeing as this one was very local to me and entry was free I decided to pop along with fellow blogger Rabbia from Asian Wedding Ideas. 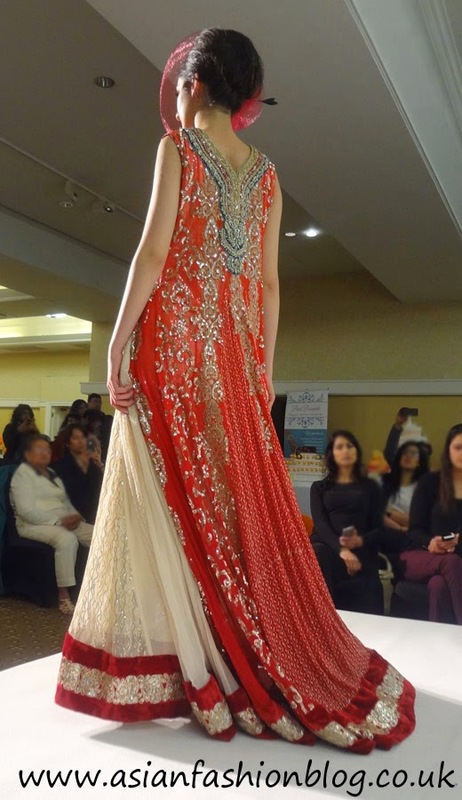 The fashion show at this event featured five collections, here's a closer look at some of the outfits! 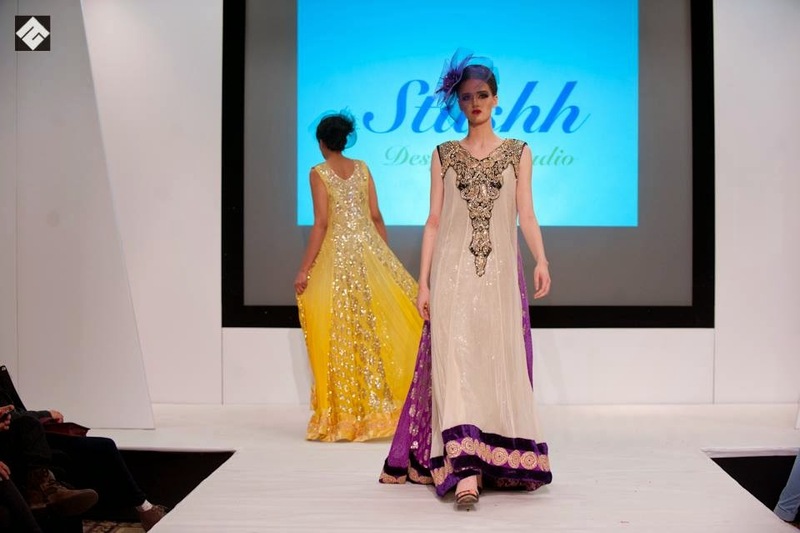 Based in Bradford, this store focuses on Pakistani fashion. 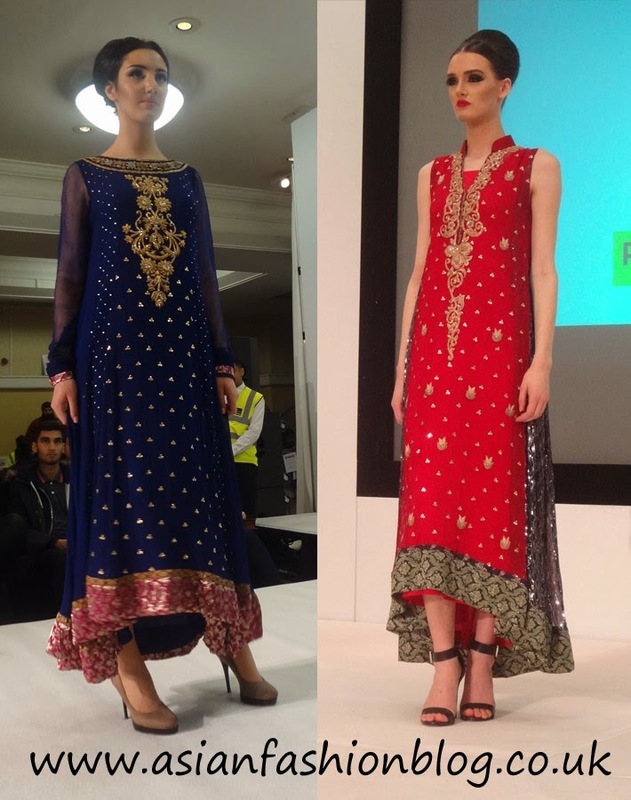 These two dresses were my favourites. UI Couture were the only menswear store on the catwalk. 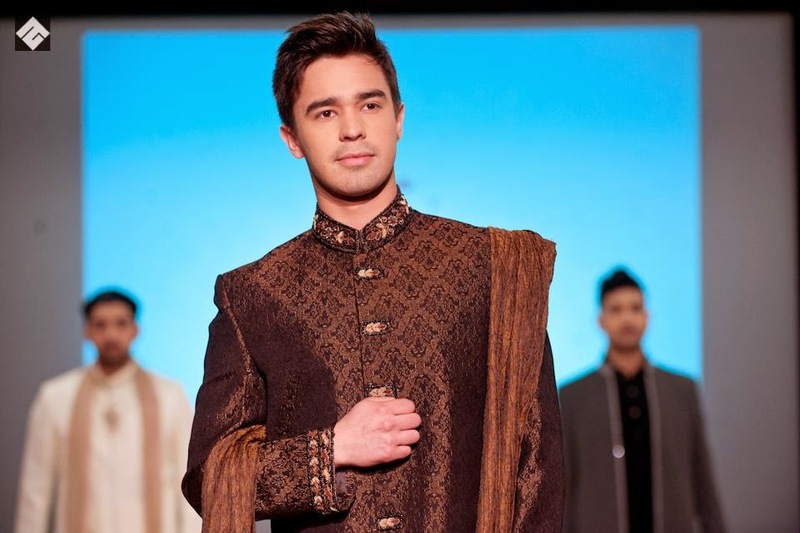 As well as more formal grooms outfits, they also had semi-formal styles which would suit an occasion like a mehndi or sangeet party. 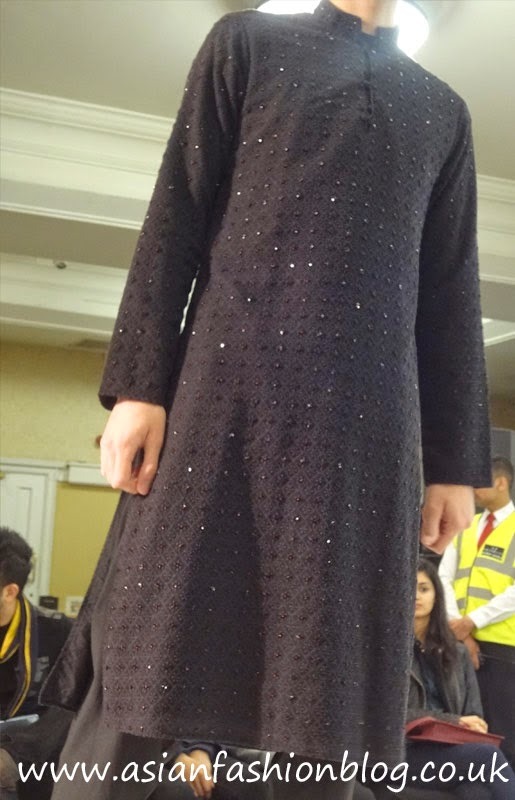 I really liked the detail on this next outfit, from afar it looked like a plain black shalwar kameez, but up close you see the design. I think this would be a great middle-ground for guys that aren't into bright colours and designs but want something a little out of the ordinary. This was probably my least favourite collection from the show. Although striking, the designs weren't really appealing to me. 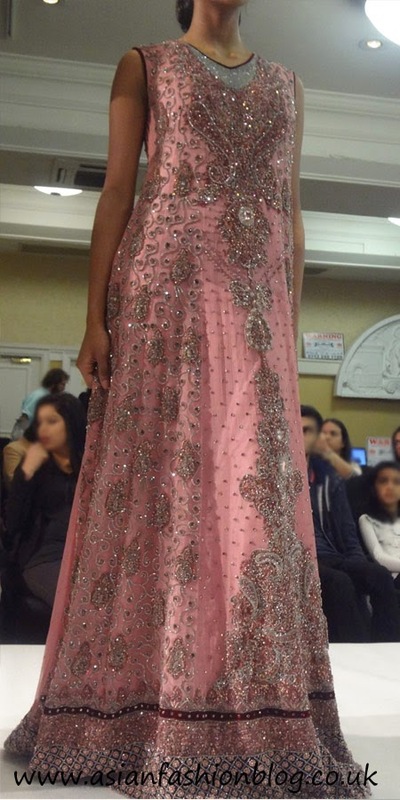 It looked and sounded really heavy as the model walked the ramp but it definitely had something wow about it. 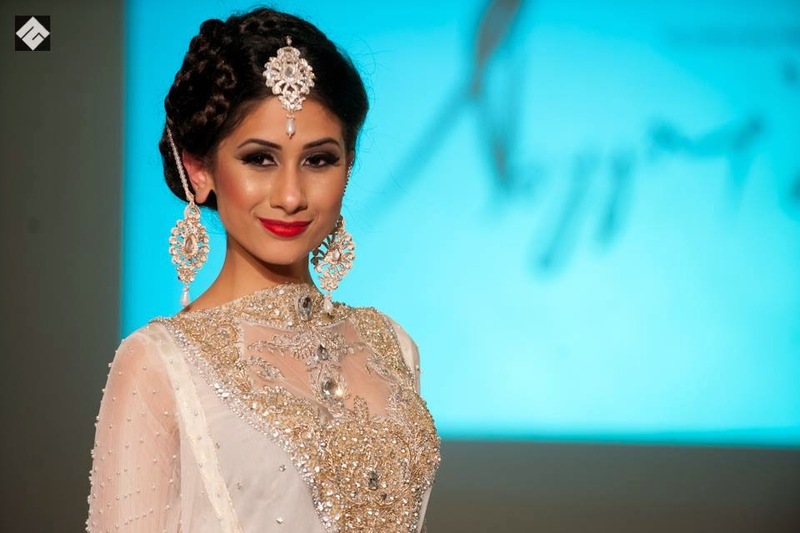 It reminded me a little of Karma's Great Gatsby 1920s Collection from last year. The back of some of these outfits had so much detail that they could be mistaken for the front! My advice for if you're wearing an outfit like this would be to make sure you style your hair up like the models have done here - to make sure everybody gets to see the full back of the dress in all its glory! Aliway Photography was one of the exhibitors at the event and you can check out their (much better than mine) photos from the catwalk here. 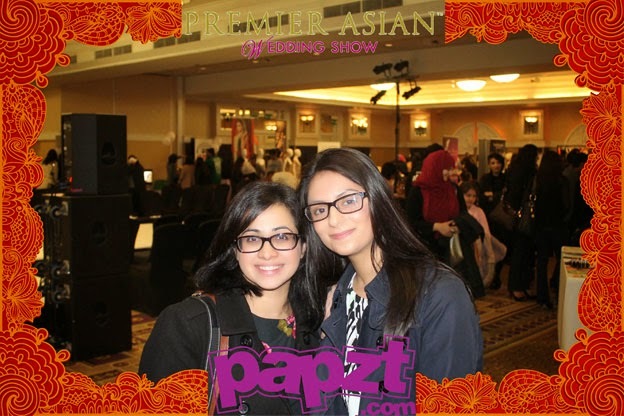 After the show, myself and Rabbia couldn't resist having our picture taken at the Paptz.com exhibition stand, here's how it came out!